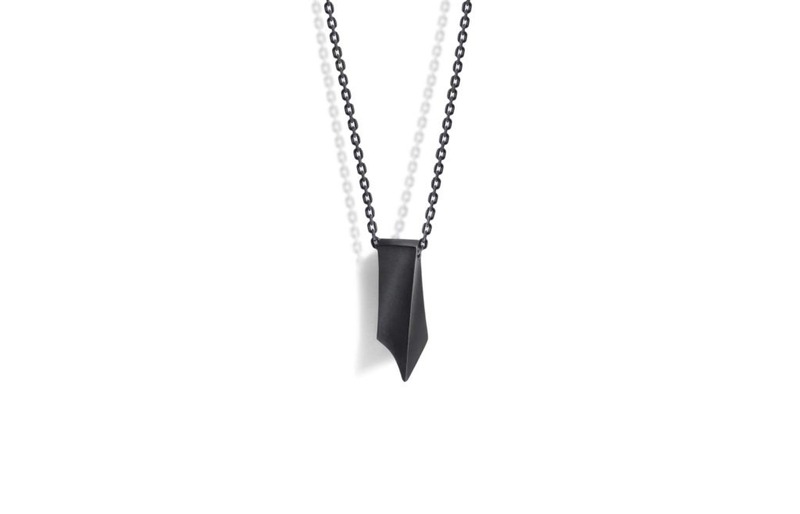 Forged from solid .925 sterling silver, the INFIN8 necklace is handcrafted with the finest detail, then oxidized to create a dark grey finish. 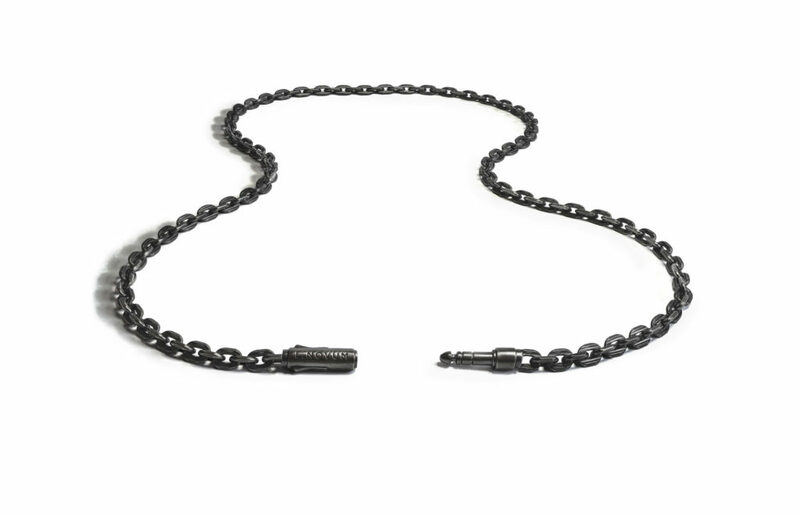 The 2mm wide chain is diamond cut with precision cutting tools to create a pattern of fine sharp flat cuts across each chain link. L.Novum creates so much more than just jewellery. They create art. Art that helps me to be confident about who I am and where I want to be. Art that reminds me to always push a little further. Cheers from Manchester! Great necklace. Great product for the great price. Will be shopping more really soon. Received mine yesterday and I love it! Ordered this necklace with a perspective ring. 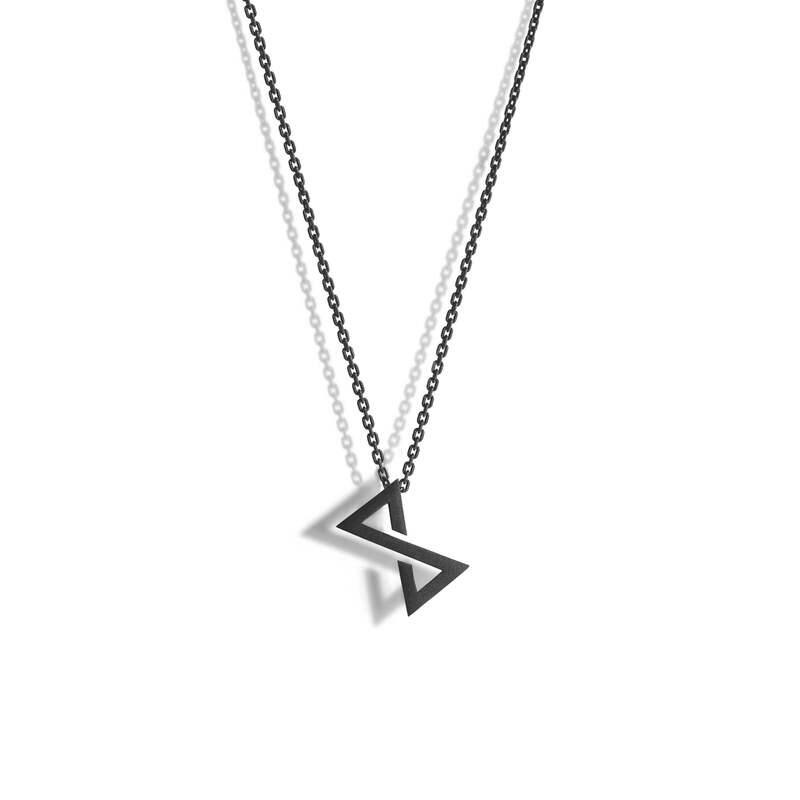 It's a pretty simple necklace by looks, but you can feel the chain is really strong and it has that interesting V type of shape when it hangs. It's hard to explain, but it hangs differently than other necklaces and I love that. I don't like shiny things, so the dark finish is a really nice touch. This necklace is my new favourite piece of jewelry! I received it yesterday. It’s beautiful, dark, good quality and is very long. It came with professional packaging with information on the company and how to take care of your jewelry. I absolutely love my purchase and their packaging lets you know you’re dealing with a company that appreciates your purchase and takes pride in their work. Thanks again!! I was thrilled when I opened the packaging they sent! This is such a solid, well-made necklace and the dark stain on it is exactly what I wanted. 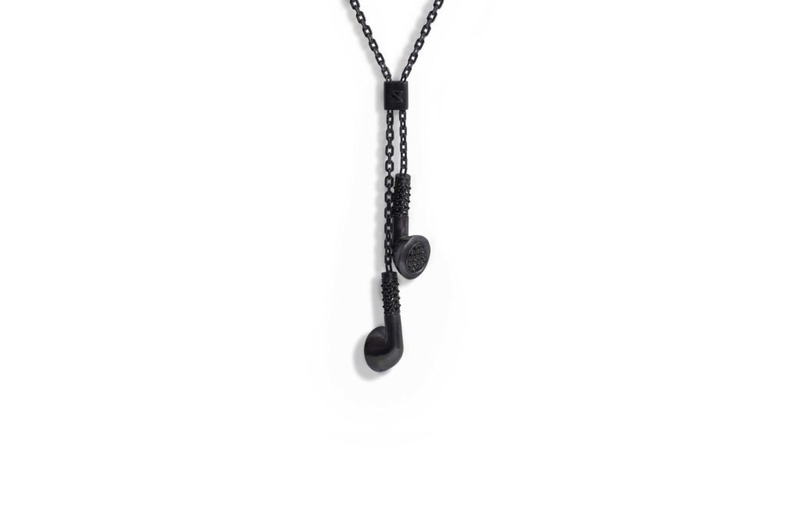 I’ve been looking for a longer chain and this one hangs so effortlessly. 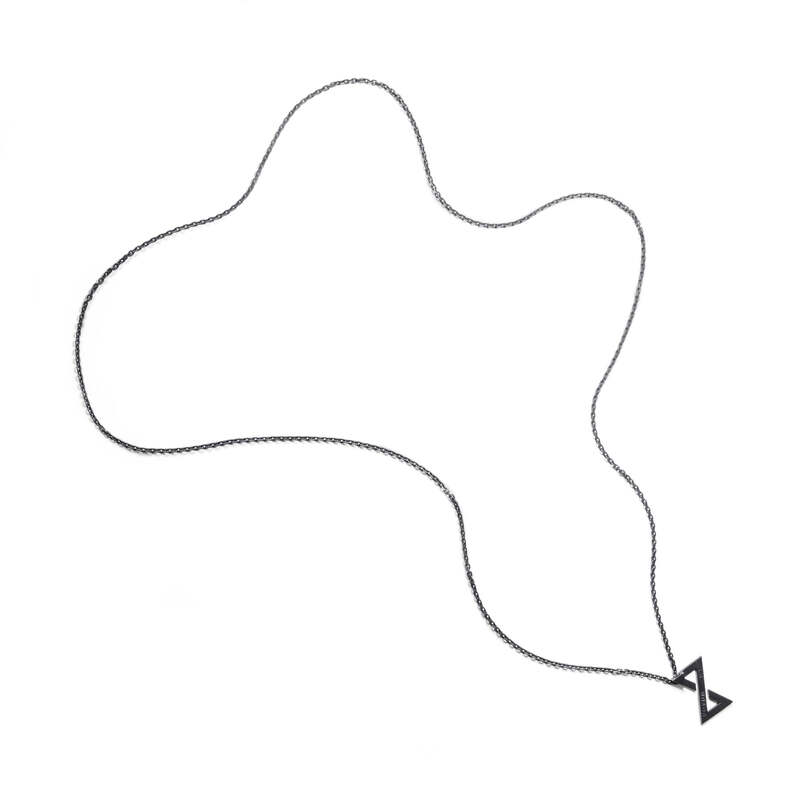 The chain is very loose and flexible. I don’t know of any other brands with this sort of quality and price. Thanks to Doriane for answering all my questions! I love this chain! I wasn't sure if it would be heavy enough to hang nice, but it is perfect. Nice finish too!! I love this necklace and lots of people ask me about it. I’m always happy to tell them about Lnovum and their jewelry. The necklace came really fast after ordering and it looks and feels so much better than I expected. The packaging is gorgeous and there’s a black wax stamp on the leaflet which shows their attention to detail. Included is a simple care guide to help keep your jewelry in good condition. This company goes above and beyond! “Hand crafted with the finest detail” That’s what it says in the description and it couldn’t be more true. The chain link on the necklace is so detailed and beautiful, I can’t believe they don’t double the price. The material is surprisingly heavy. The pendant hangs low and is strong. I would highly recommend this necklace and this brand. This is a beautiful chain - very sturdy and just absolutely perfect ... you cannot beat the price and you cannot beat the quality or the beauty ! Everything about my order was just great !!! Cheap in price, great in quality. It's a simple accessory that is complex in execution. The chain is very high quality, packaging is amazing and shipping is quick. I’ve had my necklace about a week now and I couldn’t be happier! I wear it all the time, it looks great and I get tons of compliments on it. The necklace hangs differently than any other V necklaces I’ve ever owned. It’s got more of a relaxed feel to it. 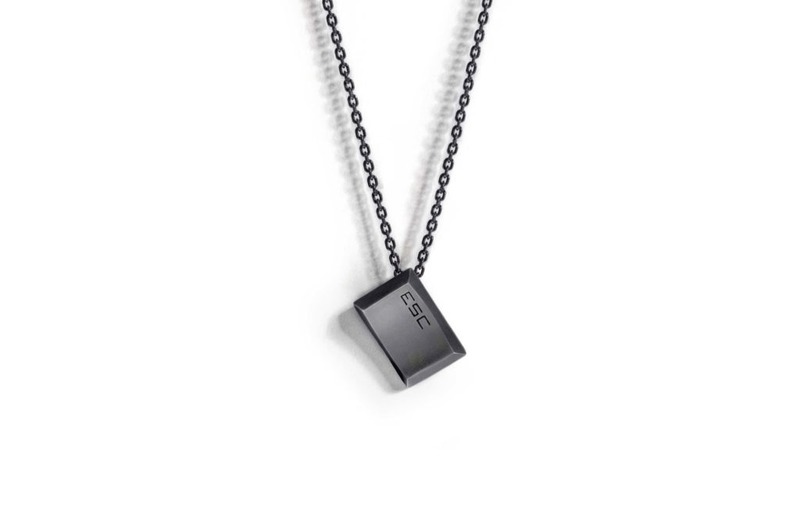 I hope they start to make more unisex or women’s jewelry. I would love to get more of this brand! I never wore any jewellery until I got Infinite necklace as a gift from my girlfriend. It was simple enough for me to wear, but the build quality, the look and just the way it hangs on you is something different. It is my one and only accessory and I love it. Thanks L.Novum! I bought this necklace as a present for my boyfriend. I was a little nervous because he’s really picky about what he wears. He’s obsessed with this necklace and instantly wanted to check out the brand to see what else he wanted. We both love the way the chain feels, it’s heavy, but still flexible. It’s a great gift because the packaging is already so cool, so when they open it, they know it’s something really high end. So simple and so great. Love it! I received the infin8 necklace 4 days after I ordered it and was so happy with the look and feel of the necklace! It looks so much better in person and it feels good quality. The chain is really long and looks amazing with a simple t-shirt. I plan on wearing this every single day. Thank you so much for the beautiful necklace! If you order from Europe make sure you check your customs policy. I am happy with the necklace, but the additional customs tax was a surprise for me. I contacted support and Doriane solved the issue with the customs, but it took some time, so my order had to stay in customs for a week. Despite that, I am happy. Happy with my purchase. Will order some more soon.